A bridal shower is the perfect opportunity for the bride-to-be to kick back and relax. After all of the hard work she has done searching through Melbourne wedding venues, trying on dozens of wedding gowns, and going to lots of cake-tastings, she definitely deserves a break. The happy couple DOESN’T pay for the bridal shower, but neither do the guests. The ones who should be paying for the bridal shower are the maid of honour, the bridesmaids, and SOMETIMES the parents of the bride. Close friends of the bride may offer to chip in, but it’s ultimately on the bridesmaids and maid of honour to cover the bill. The bridesmaids organise the soiree. Unless the bride needs to know every detail of the bridal shower, the bridesmaids are the ones who will organise the event. It is often a surprise for the bride-to-be, and it’s a good break from all the details of wedding planning. The maid of honour should be the party planner, but all the bridesmaids need a role to play. It should be held well before the wedding. The last month before the wedding is going to be a hectic time for both the bride and groom, so it’s wise to hold the bridal shower at least a month or two before the wedding. It’s the only way the bride is actually going to relax and enjoy herself. The guest list really does matter. The only people who should be invited to the bridal shower are people who will be invited to the wedding as well. An exception to this rule is to invite close friends and co-workers who will not be able to attend the wedding, but for the most part it should ONLY be guests who will also be there when the vows are said. The shower should last between three and four hours. That gives you enough time to get through the drinking, the presents, the bridal shower games, and any dancing/partying you want to do. Of course, there’s no limit to how long or short the bridal shower can be, but it’s best to plan for at least three or four hours of entertainment. Food and drink play a big role in the bridal shower. Alcohol is going to help all of you loosen up and relax, so make sure to have plenty on hand. Snacks and finger food may be your best bet for an easy bridal shower, or you can host it at a restaurant and have a big meal. Whatever you do, just make sure there is plenty to eat and drink! All guests need to bring a present. Every guest attending the shower needs to bring a present for the bride. No gift, no party! Need help planning your bridal shower? 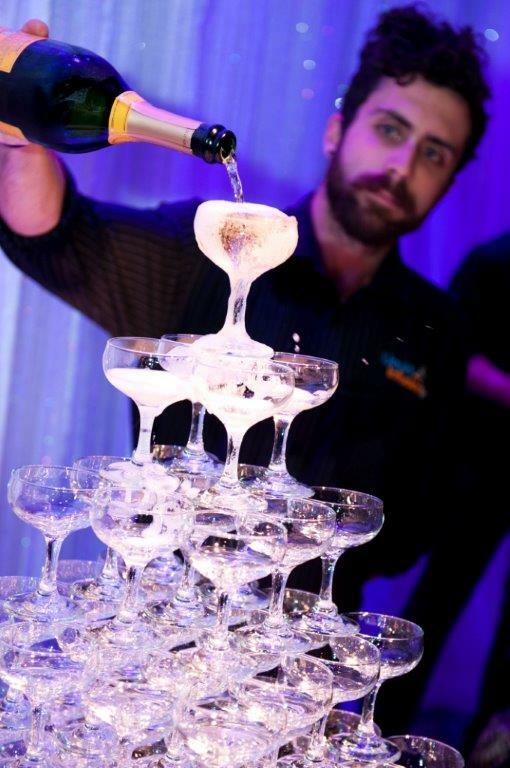 As one of the top event venues in Melbourne, Red Scooter is just the place to throw your soiree in style!